Poaching photos had been posted on text messages and social media. (CNN) The suspects documented their kill in graphic photos — grinning near slumped over carcasses, posing with a decapitated elk head and taking a selfie with animal blood splattered over one of the alleged poacher’s face. Over text messages and social media, the poaching suspects boasted about the animals they illegally slaughtered, authorities say. Some of them even called themselves the “kill ’em all boys,” said Captain Jeff Wickersham from the Washington Department of Fish and Wildlife. The suspects were part of a massive poaching ring in Oregon and Washington, who were altogether charged with more than 200 misdemeanors and felonies, authorities say. They are accused of killing more than 200 animals including deer, bears, cougars, bobcats and a squirrel. Twelve people were charged in Oregon this week. In 2017 and earlier this year, 13 people were charged with misdemeanors and felonies in the state of Washington. Some of the suspects face charges in both states. Dogs surround a bloody bear. The suspects bragged about it on Facebook and Snapchat, authorities said. They “made de facto trophies out of these events” on social media and text messages, said Wickersham. But that ultimately became used as evidence against them, authorities say. Investigators used the geo-tagged photos to track down the kill sites and find skeletal remains of the animals. Oregon State Police began its investigation in November 2016 after finding two decapitated deer carcasses. Officers began putting up surveillance cameras to track the suspects. “This was one of the biggest cases in the state ever, as far as the amount of people involved, amount of violations and number of wildlife taken, “Schwartz said. He described the case as sickening. At least five of the suspects appeared in court Thursday, reported CNN affiliate KOIN. They face penalties ranging from fines to jail time depending on their individual charges. So, if poachers don’t consider themselves to be poor and consider poaching difficult, why do they do it? 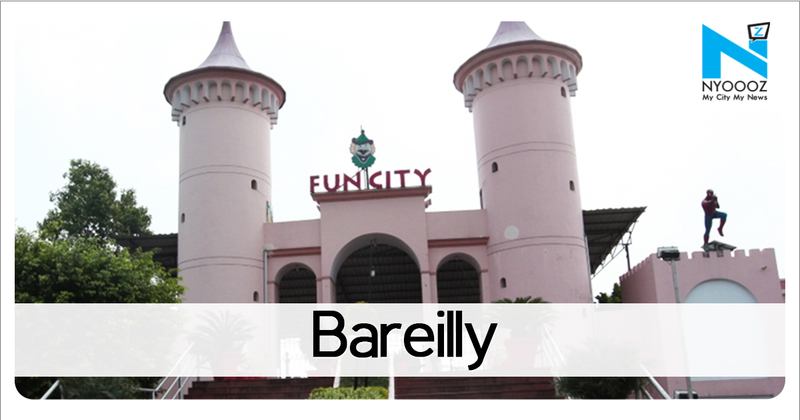 The answer may lay in a concept that the Nobel Peace Prize winner Amartya Sen has called“capability deprivation”. Five wildlife rangers and a driver guarding one of the world’s most important refuges for mountain gorillas and other critically endangered species have been killed in an ambush. Authorities in the Virunga National Park, the Democratic Republic of Congo’s famed haven for gorillas, said the men were gunned down by militia men early on Monday near the border with Uganda. “Virunga National Park is deeply saddened to confirm reports of an attack on our staff today,” the park said in a statement. Joel Malembe, a park spokesman, said the team had been driving through the bush between the sectors of Lulimba and Ishasha when a group of militia men opened fire on their vehicles at about 6 AM local time. Cosma Wilungula, the director of the DRC’s national parks, said the attackers were from one of the country’s “Mai Mai” militia groups, which were initially founded in the 1990s to fight cross-border attacks from Rwanda. More than 150 rangers have been killed protecting the Virunga national park, which covers an area three times the size of Luxembourg, over the past twenty years. Virunga was established established in 1925 and describes itself as Africa’s oldest national park. 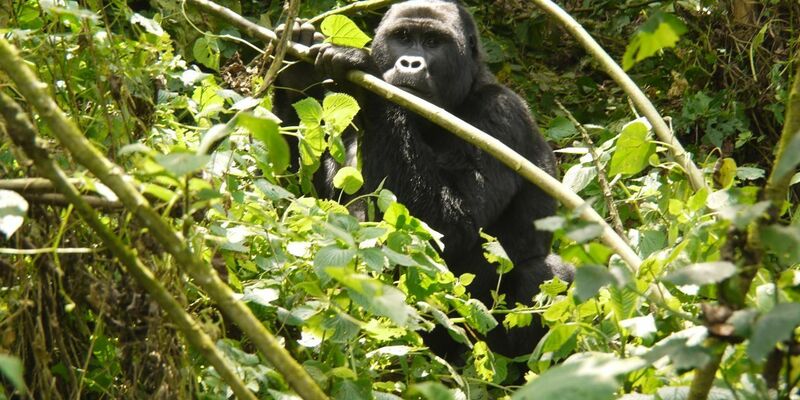 Covering more than 3000 square miles of wilderness on the Rwandan and Ugandan border, it is one of Africa’s most diverse habitats and is home to about a quarter of the world’s surviving 880 mountain gorillas. It is also a refuge for significant populations of eastern lowland gorillas, chimpanzees, okapis, lions, elephants and hippos. But it has been ravaged by the unrest sweeping Congo’s troubled North Kivu province, with dozens of armed groups preying on the local population and battling for control of rich reserves of timber, gold and other resources. They also often poach animals in the park for bush meat. Ranger outposts are regularly attacked and it not unknown for rangers and militias to fight battles with automatic weapons to for several hours. Emmanuel de Merode, the park’s Belgian director, was shot and wounded in a road ambush between the park and Goma, the capital of North Kivu, in 2014. The Democratic Republic of Congo has seen increasing instability of the past year, after Joseph Kabila, the president, refused to step down at the end of his term in 2016. Mr Kabila has agreed to fresh elections in January, but the United Nations and aid agencies have warned that escalating violence and lawlessness threatens to spiral out of control. Violence has escalated in the east of the country in particular since February, raising fears of a return to the horrific civil wars that claimed millions of lives in the region between 1998 and 2008. A Mai Mai militia was blamed for shooting dead a Catholic priest in North Kivu over the weekend. The United Nations has said over 5.1 million people have been displaced in recent years and 13 million people are in need of humanitarian assistance, putting the scale of the crisis on a par with Syria. The national government has rejected that description of the situation and has said it will not attend a United Nations pledging conference to raise money to deal with the crisis in Geneva on Friday. The United Nations has 15,000 peace keepers in the Democratic Republic of Congo, making it the largest peace keeping mission in the world. LA Lizard Smuggler Gets Taste Of His Own Medicine A judge ordered a man convicted of smuggling monitor lizards in boxes to serve house confinement for his animal cruelty. LOS ANGELES, CA — An Inglewood man was sentenced Thursday to six months under house arrest for smuggling five monitor lizards into the United States — two of which died while they were being shipped. Gayle Simpson, 34, was also ordered by U.S. District Judge Manuel Real to serve three years of federal probation. Simpson pleaded guilty in September to a single federal count of smuggling monitor lizards that were shipped from the Philippines. “We hope this sentence sends the message that these actions have consequences,” Assistant U.S. Attorney Erik Silber said, adding that the case was one of three involving monitor lizards prosecuted by his office since last winter. The case against Simpson stems from a package intercepted by U.S.
Customs and Border Protection last spring. The package, which was labeled “speakers” and was addressed to Simpson’s son, contained five monitor lizards: three spiny-necked water monitor lizards, one Samar water monitor lizard, and one Palawan water monitor lizard, according to the U.S. Attorney’s Office. Two of the monitor lizards arrived dead, and a third had suffered a crushed foot. All five are protected under CITES, an international agreement which aims to ensure that international trade in wild animal and plant specimens does not threaten their survival. A subsequent search warrant executed by U.S. Fish and Wildlife Service at Simpson’s home resulted in the seizure of four yellow-headed water monitor lizards and two spiny-necked water monitor lizards, prosecutors said. Silber said the death and injury suffered by the reptiles during shipping illustrates the cruelty of animal smuggling, for which profit is the usual motive. The monitor lizards in the Simpson case were worth an estimated $1,500 to $2,000, authorities said. The spot where they were caught is a part of Kishanpur wildlife sanctuary in Kheri district. According to station house officer (SHO) RK Bharadwaj, police chased the poachers in the late hours of Tuesday following a lead. Pilibhit: Five poachers were arrested from the forest area near Sultanpur village on Wednesday morning by a police team of Seramau North police station, Pilibhit. Two trapping nets, one spear, a poleaxe and three daggers were seized from them. An FIR has been lodged in the matter and the accused have been jailed.All the accused are residents of Haripur Kishanpur village under Seramau North police station. Pilibhit: Five poachers were arrested from the forest area near Sultanpur village on Wednesday morning by a police team of Seramau North police station, Pilibhit. Two trapping nets, one spear, a poleaxe and three daggers were seized from them. An FIR has been lodged in the matter and the accused have been jailed.All the accused are residents of Haripur Kishanpur village under Seramau North police station. The spot where they were caught is a part of Kishanpur wildlife sanctuary in Kheri district. According to station house officer (SHO) RK Bharadwaj, police chased the poachers in the late hours of Tuesday following a lead. Two Sault Ste. Marie men were fined a total of $2,000 for an illegal deer hunt. Ministry of Natural Resources and Forestry received a complaint about two men hunting illegally on St. Jospeh Island in October 2016. An investigation found Cameron Tucker and Evan Thorne were hunting a white-tailed deer when Tucker shot and killed a buck deer without a licence. The pair took the deer to a nearby camp to process. Tucker repeatedly gave false information to a conservation officer, a release says. Tucker was fined $500 for unlawfully hunting a deer without a licence and $500 for obstructing a peace officer. He was also handed a two-year hunting prohibition in addition to a three-year ban for another hunting offence. Thorne was fined $1,000 for unlawfully possession an illegally killed deer. Justice of the Peace James Bubba heard the case in Ontario Court of Justice in Sault Ste. Marie on Aug. 9. COEUR d’ALENE — A Mica Bay man accused of killing a moose out of season was convicted by a jury after a two-day trial earlier this month in Coeur d’Alene. But before he could be sentenced, John A. Huckabay, 65, flew to Africa where he works in the medical field. The court expects him back April 27 for sentencing. Huckabay is accused of killing a cow moose Oct. 2, 2014 near Red Hog Road at Mica Bay, on the northwest side of Lake Coeur d’Alene. He pleaded not guilty and asked for a jury trial. Penalties and fines for killing a moose out of season include a $1,500 civil penalty and a $500 fine and no more than six months in jail. His hunting privileges could be revoked for a year, or up to life, at the discretion of the court. Huckabay, who works in Africa for a University of Washington medical evaluation program that studies the spread of disease, is known to neighbors and Idaho Fish and Game as someone who likes to hunt. Over the past decade Huckabay has been a fervent supporter of Idaho Fish and Game by purchasing a slew of hunting and fishing licenses, tags and permits. The department said he had a tag in 2014 for moose in Unit 2 along the Spokane River, but not for Unit 5 near Mica Bay where the cow moose was killed after some neighbors reported it had become a nuisance. 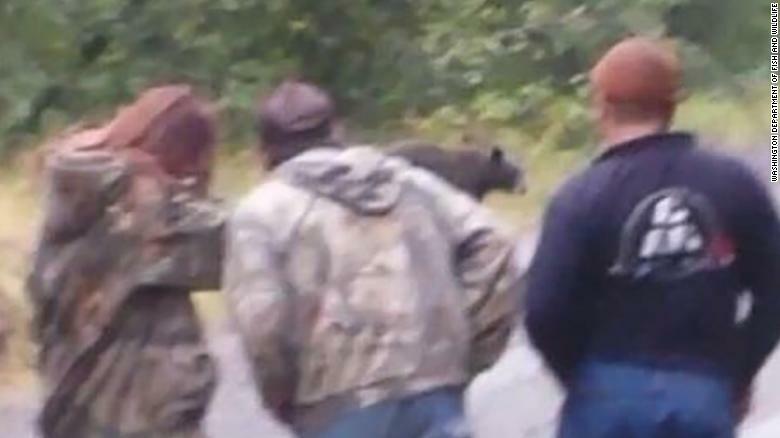 Huckabay was charged after neighbors heard a rifle shot and later saw Huckabay hoisting a moose into the bed of a teal-colored pickup truck near Red Hog Road. In an ensuing investigation Idaho Fish and Game officers found the spot where the moose was reportedly shot and killed and followed evidence to a skinned moose hanging at the shop of a butcher with a private operation in Coeur d’Alene. A conservation officer stuck a thermostat in the meat to determine when the animal was killed, and DNA evidence showed it was from a cow moose, according to court testimony. 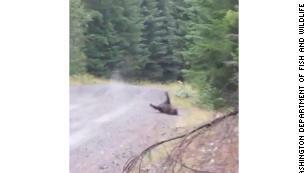 Evidence pointed to a match between the moose at the butcher’s and the moose shot at Red Hog Road. Fish and Game officers testified that Huckabay had been contacted by a neighbor about a problem moose, and allegedly told the neighbor he had a tag, that the season was open, although the season in that unit did not open for another two weeks. A short time later, according to testimony, Huckabay told the neighbor he had shot the moose. After the trial, Huckabay, who has no previous criminal history, posted a $20,000 bond and was returned his passport so he could return to work overseas. Before his next court appearance, Huckabay will travel to Madagascar, the Maldives, Sri Lanka, Myanmar, Thailand and Singapore before returning to Coeur d’Alene to face First District Senior Judge Ben Simpson for sentencing. Authorities are cracking down on poaching in Oregon. A program to reward people who report poaching had a successful year in 2017. The program known as Turn in Poachers saw an uptick in rewards last year. Authorities credit advertising on social media and local publications with getting the word out about the incentive program to report poaching. A statewide campaign that encourages people to inform on poachers just had the most robust year in its 32-year history. The Turn in Poachers fund — a collaboration between the Oregon Hunters Association, Oregon State Police and state Department of Fish and Wildlife — rewarded $24,200 in 50 cases last year. That’s more than double the average amount, according to the hunter’s association. The number of cases typically ranges from 20 to 35 in a given year. Clatsop County had one reward case in 2017. An informant received $500 for information about an elk shot in an area where hunting is not allowed. Poaching issues in the county mainly center on Roosevelt Elk and blacktail deer, since those animals are the most popular big game for hunters, said Sgt. Joe Warwick of the state police’s fish and wildlife division. The Albany area had the highest number of rewards at 11. Pinpointing why hunters report more or fewer poaching cases can be difficult. Not all poaching convictions are a result of tips, and not all informants accept rewards. Dungannon suggests recent raises in reward money may be a factor in last year’s spike. Standard amounts range from $100 for game fish, shellfish, upland birds, waterfowl and fur-bearers to $1,000 for bighorn sheep, mountain goats and moose. Dungannon also pointed to the state police’s efforts to advertise the program on social media and in local publications. “There are things that officers can do to take the game to the next level and get the word out to the community,” Dungannon said. Nearly all of the fund’s financial support comes from courts ordering those convicted of violations to pay restitution. The hunter’s association and other conservation groups also pitch in when unusually large award amounts are requested. A bill pending in the state Legislature may help on that front. While judges already impose fines for misdemeanor offenses, the bill would lay out a precedent to impose such fines in addition to any jail or prison sentence. It also would give the state the ability to deny licenses, tags and permits if fines are not repaid. “This removes any doubt from the court that they’re able to assess the restitution to the state and to the TIP fund,” Dungannon said. To continue its growth, police and others who run the fund can think of ways to incentivize hunters to turn in suspected poachers. 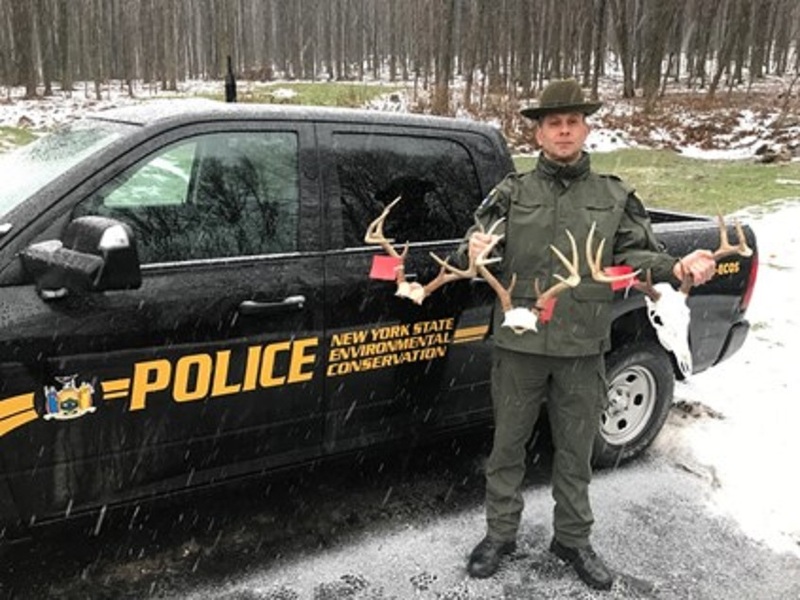 A Central New York man was recently charged with 11 different offenses under the state’s Environmental Conservation Law and faces fines of up to $11,500 for illegally shooting three bucks with a bow and a crossbow. 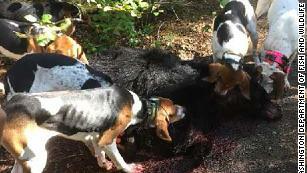 Two of the deer were reportedly killed in his backyard over bait. The case first came to attention of DEC officers after Dean P. Brutcher Jr., 34 of DeWitt, boasted on three Facebook posts about killing two, 8-point bucks during the archery season, according to the DEC. A state hunting license only allows a hunter to take one buck during the archery season. The town of DeWitt is among those Central New York suburban communities with excessive numbers of deer. 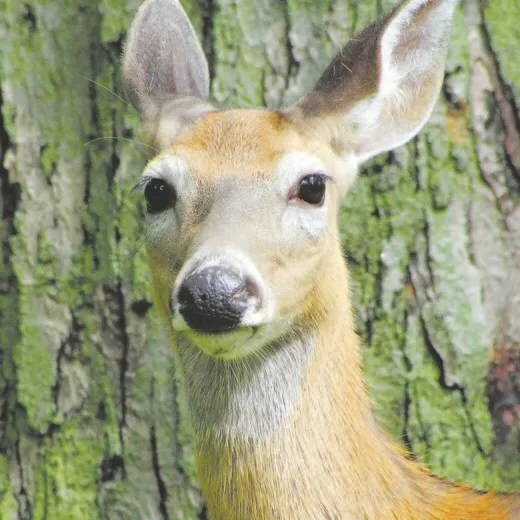 The latest counts show the community has about 100 deer per square mile – at least five times the normal eight to 20 per square mile, according to figures from the state College of Environmental Science and Forestry, DeWitt officials said. An investigation into Brutcher’s Facebook posts was initiated by state Environmental Conservation Officer Don Damrath. As Damrath was attempting to locate Brutcher, the man posted a photo of a third buck taken on his Facebook page, the biggest of the three deer. Damrath seized all three sets of antlers. ECO Don Damrath with the three seized sets of antlers. Brutcher was charged with taking big game in excess of the bag limit; unlawful possession of protected wildlife; failure to report deer take within 7 days (three counts); take/kill deer wrong implement; unlawful deer kill (two counts); hunt over bait (two counts); entice deer to feed (within) 300 feet (of a) highway. Five of the above offenses are misdemeanors. Brutcher faces an additional misdemeanor charge for signing a false statement, DEC said. Along with the above charges, Brutcher also faces loss of his hunting privileges. Meanwhile, DeWitt officials in late October approved a plan to use federal sharpshooters to hunt and kill deer in targeted areas of the community. The town’s plan was recently approved by the DEC and culling of the herd is expected to start soon at seven undisclosed locations.